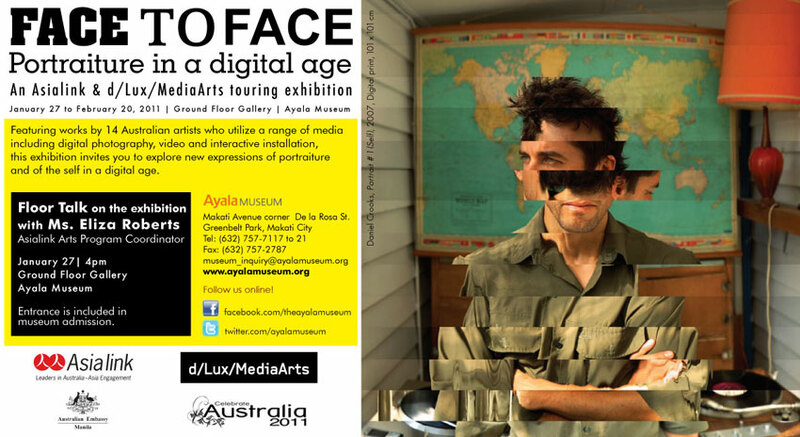 Featuring works by 14 Australian artists who utilize a range of media including digital photography, video and interactive installation, Ayala Museum, the Australian Embassy in Manila, Asialink and d/Lux/MediaArts present an exhibition which invites you to explore new expressions of portraiture and of the self in a digital age. 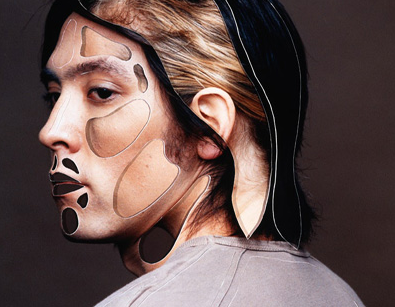 Face to Face: Portraiture in a Digital Age gives audiences an engaging perspective on how digital technologies are reshaping our understanding of contemporary identity. It opened at the Ground Floor Gallery on January 27, 2011 and Ms. Eliza Roberts of Asialink conducted a floor talk at 4:00 pm on the same date. The exhibition will run until February 20, 2011. This program is part of the Australian Embassy's Celebrate Australia 2011 festival to mark Australia Day. 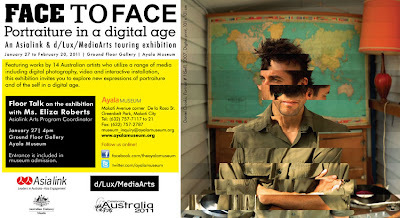 For more information, call (632) 757-7117 to 21 local 29 or 35, or email museum_inquiry@ayalamuseum.org.